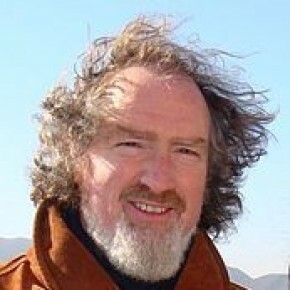 Wim Ravesteijn is a Responsible and Sustainable Innovation researcher and teacher. He is coordinating a Responsible Port Innovation research group, co-managing the TU Delft TPM China Cluster as well as the Scientific Coordinator of the joint TPM – Harbin Institute of Technology (HIT, China) Engineering & Policy Analysis student exchange and double degree master programme. He is a part-time Contract Professor at HIT and a Honorary Professor at Beijing Information Science & Technology University. His broad field of learning is Science, Technology and Society Studies focused on public works and urban planning from historical, cultural and global perspectives. He has done research into the design, construction and management of civil engineering works in the Netherlands East Indies and Indonesia and into Integrated Water Resources Management in the Netherlands, Europe and China. Topic of his present research is Responsible Port Innovation, especially in China, Indonesia and North-Western Europe. J.O. Kroesen, W. Ravesteijn, Values in Development: The Significance that Cultural Transitions have for Development. In: J. van den Hoven, N. Doorn, T. Swierstra, B-J. Koops, H. Romijn (eds. ), Responsible Innovation 1. Springer 2014. Pp. 181-198.